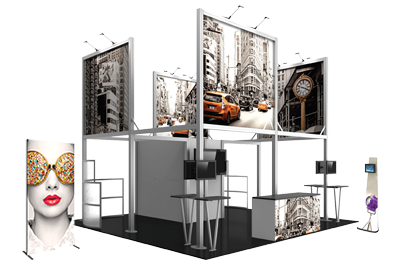 Formulate® Master 3D Tapered Square fabric hanging structures are made in the USA and combine state-of-the-art zipper pillowcase dye-sublimated stretch fabric coverings with superior quality, lightweight aluminum tube frames to provide unique design, functionality, and style. Various size options are available; cables are included. Stretch fabric graphics are hand-sewn and durable; liners are included. 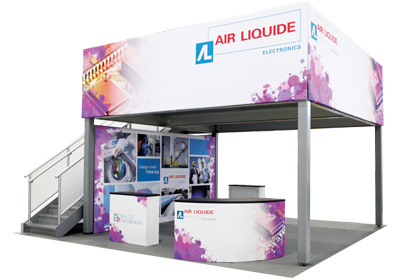 - Tapered Square hanging structures can also be shipped in expandable rugged molded shipping cases (OCE; sold separately). Squares with a 14' width need a second box or OCE case, while larger ones ship in 3 boxes/cases.